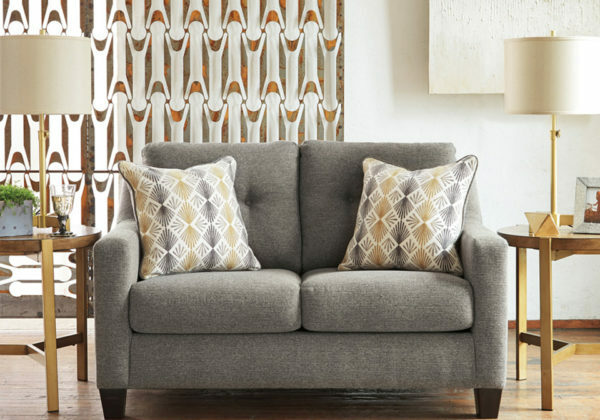 Cool and contemporary with a touch of mid-century flair, the Daylon loveseat in graphite gray is a sight for sore eyes after a long, hard day. The loveseat’s box cushion styling is beautified with button-tufted accents and sloped track arms that go with the flow. 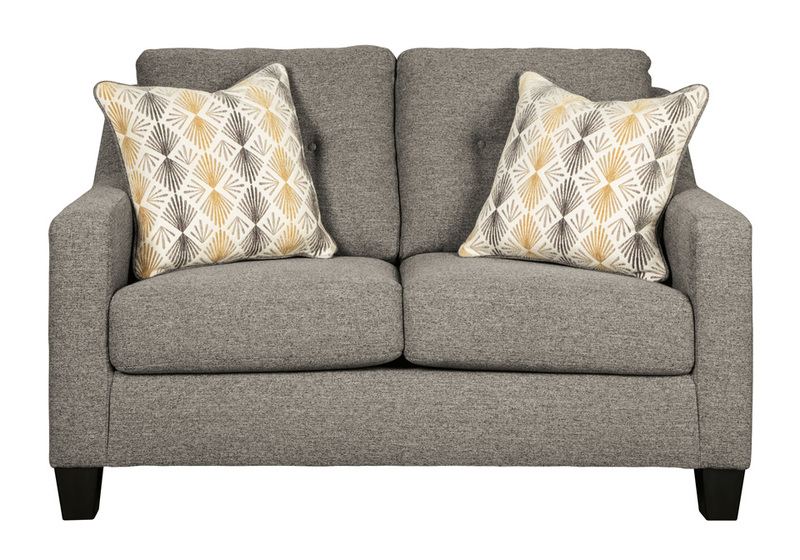 Inspired by tailored menswear, the gorgeous gray upholstery with chenille-feel softness is complemented with vibrant print pillows in butterscotch and gray.